Work-related injuries and conditions come with special challenges and stresses—not only physical, but mental and emotional as well. At the Ross Center for Orthopedics, we understand these issues—and sympathize. We’re committed to providing workers' compensation patients with the highest standard of care, and we’ll make every effort to ensure that your experience exceeds what you would normally expect if your injury or illness weren’t work related—with caring treatment and sound clinical judgment. In managing your work-related injury or condition, we will work closely with you, your employer, your case manager, and the workers' compensation carrier toward the best health outcome for you, while also being diligent about the need to contain costs. We’ll provide an objective clinical assessment of your return-to-work plan and assess your possible need for a restricted-work or “light-duty” period. And as appropriate, we’ll provide the information and resources you need to help you prevent further injury. 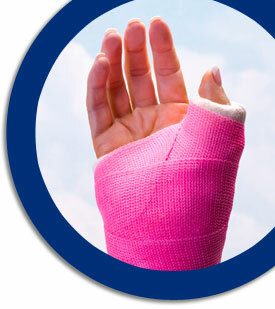 The Ross Center for Orthopedics also has full capabilities for reporting and documentation to comply with workers' compensation requirements—or, if needed, to support a possible disability determination—all while keeping our central focus firmly where it belongs: on you, the patient, and what you need to restore your health, well-being, and work capacity. Our focus is on helping you get your livelihood—and your life—back on track.